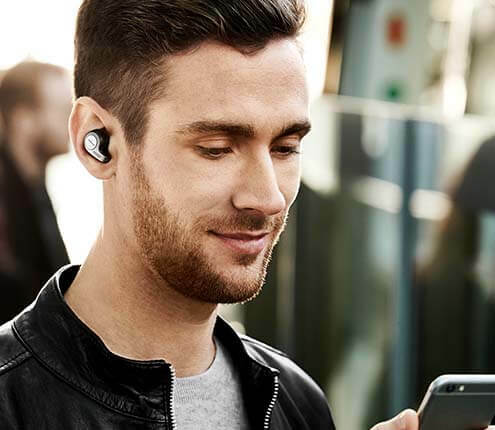 Copenhagen, Denmark, 20 November 2018 – Jabra, the leading provider of UC sound solutions, today launches the Evolve 65t – true wireless earbuds specifically engineered for the mobile professional. The new edition to the market-leading Evolve range of professional headsets marks yet another engineering milestone for Jabra, as the pioneer of the world’s first true wireless earbuds to attain Skype for Business certification. Research1 reveals that a third of office workers spend less than 20% of their time working at their desk and the global workforce has become more mobile between 2015 and 2018 - a trend that is continuing. The Jabra Evolve 65t supports this shift towards mobile working that is sweeping across many businesses and industries. With workers no longer tied to their desk, mobility is becoming an increasingly important priority, with workers demanding high quality audio connectivity, UC integration and full flexibility. The Skype for Business certified four-microphone technology enables optimal call quality for the true wireless form factor. 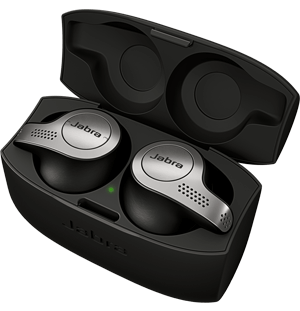 And following the recent announcement that Microsoft Teams now supports call control (HID) enablement, Jabra devices will continue to be supported. MSRP: 329 USD / 299 EUR.